Note: This study of share options is not yet complete. Existing content may be subsequently updated and new content will be regularly added. This guide will teach all you need to know about share options — what they are, how they work and why investors should evaluate them. How do share options work? A share option is the right to buy an ordinary share at a certain price in the future. Options are typically granted (or awarded) to help recruit, retain and motivate company directors and employees. Options enjoy a greater value if the share price rises and, in theory, ought to align the interests of the option holder with the interests of outside shareholders. 1) Dilution: Options can convert into ordinary shares and therefore increase the share count. Existing shareholders and per-share measures such as earnings per share can therefore be diluted. 2) Generosity: Companies can award lavish option packages to executives that effectively provide significant rewards for mediocre performances. Such option grants may signal the directors care more about their own interests than the interests of outside shareholders. 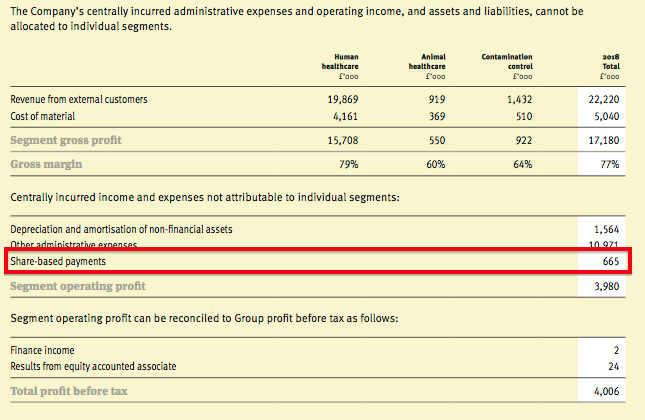 3) Cost: Options are expensed against company earnings. However, the charge can both understate and overstate the real-life cost of the options and therefore distort accounting profits and share-price valuations. Directors and employees can generally exercise their options — that is, convert their options into ordinary shares — after a pre-defined vesting date. The time between the option grant and the vesting date is known as the vesting period. UK companies usually grant options with a vesting period of three years and a contractual life that extends for the following seven years. Companies often — but not always — attach conditions to options. A typical condition is the company achieving a certain level of earnings per share growth during the vesting period. An option that has met its required performance criteria (if any) during the vesting period is said to have become exercisable or have vested. If an option has vested, the option holder must exercise the option during the option’s contractual life. The option will other otherwise lapse, and expire worthless. Every option has an exercise (or grant or strike) price, which is usually the price of the ordinary shares at the time of the grant — but could be any figure including zero. An option with a zero exercise price is often called a nil-cost option. Once vested, an option is exercised by the option holder paying the option’s exercise price to the company in return for an ordinary share. An option is granted with an exercise price of 20p and subsequently becomes exercisable. 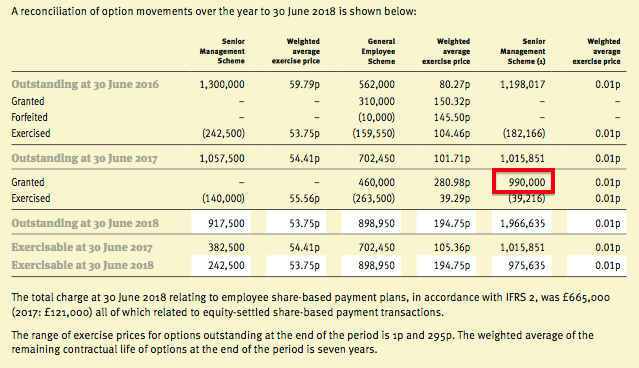 The option holder pays 20p to the company to exercise the option, and the company in return issues an extra ordinary share to the option holder that is currently worth, say, 50p. The gain on the option to the holder (before tax) is therefore 30p (the share price less the exercise price). Options are typically granted with an exercise price that is fixed throughout the option’s vesting period and subsequent contractual life. However, companies can reprice the exercise price of options. Such re-pricing is generally performed when the share price has fallen well below the exercise price and is typically viewed unfavourably by shareholders. Option holders generally forfeit their options should they leave their employer. These schemes enjoy certain employee tax benefits, although the value of the options that can be granted within such schemes is limited by HMRC. The limits prevent these schemes from causing major shareholder problems. Unapproved options are those granted outside of an Approved scheme and therefore do not attract any tax benefits. However, such options can be granted in any number and with any exercise price, and are therefore most likely to cause shareholder problems. Unapproved options are awarded through company-specific schemes, with such schemes commonly named Long-Term Incentive Plans (LTIPs) or Executive Share Option Plans (ESOPs). 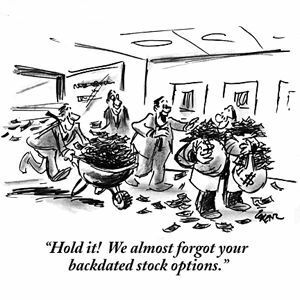 A company’s annual report is needed to judge whether options may cause problems to shareholders. The accounting cost of options. Look for the accounting note called Share capital (or similar). In this example, 43,192,133 shares are in issue. Find the accounting note called Share-based payments (or similar). In this example, three option schemes are in place and their respective totals (917,000, 898,950 and 1,966,635) have to be added together to arrive at an overall 3,783,085. The weighted average exercise prices for the schemes range from 1p to 194.75p. (Note: The right-hand-most column within the extract above should state 1p and not 0.01p). Annual reports sadly do not always reveal the exact vesting conditions. “The Senior Management Scheme is part of the remuneration package of the Executive Directors of the Company’s parent Tristel Plc. Options under this scheme will vest if certain conditions defined in the programme are met. The General Employee Scheme is part of the remuneration package of certain employees of the Company. Options under this scheme will vest immediately upon grant, or will vest in accordance with a set timescale over 36 months. Options granted with Tristel’s General Employee Scheme appear to vest without any performance conditions. However, options granted within the two senior management schemes vest on “certain conditions” not specified in the annual report. “The 2018 Scheme will be put forward for approval by shareholders at the Company’s Annual General Meeting. If the 2018 Scheme is approved 990,000 share options will be granted on 1 January 2018. 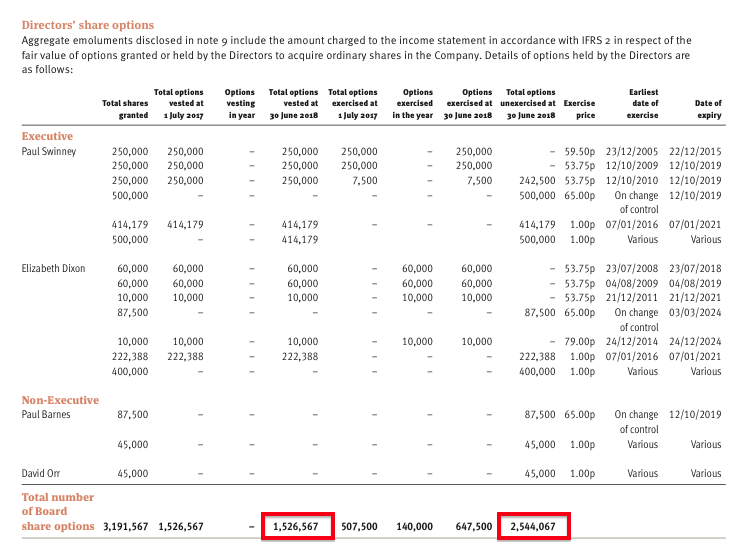 In this example, the directors own 2,544,067 unexercised options, of which 1,526,567 had vested. Look for the accounting note called Earnings per share. 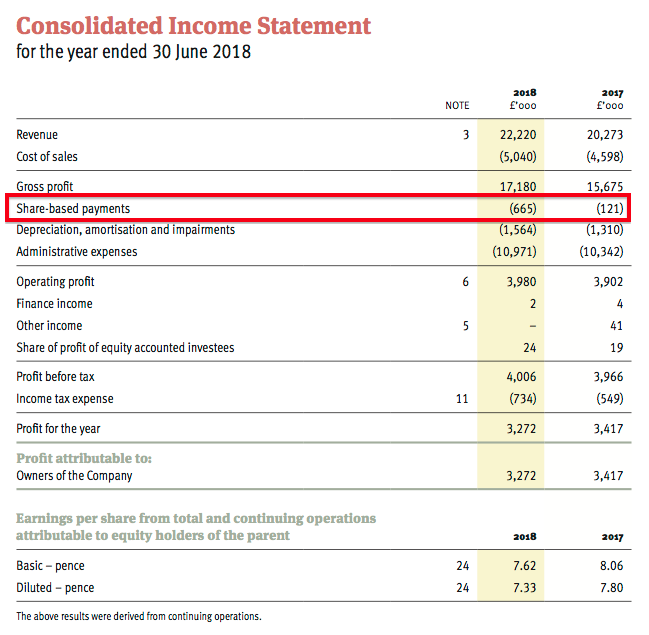 In this example, the weighted number of ordinary shares is 42,956,000, the number of dilutive share options is 1,688,000 and the weighted average number of ordinary shares for diluted earnings per share is 44,644,000. The number of dilutive share options is calculated as at the balance-sheet date, and is based on the number of vested options outstanding that carry exercise prices lower than the share price. The number of dilutive share options is then reduced through a theoretical share buyback based on the share price and the theoretical proceeds received from the dilutive options. A simple calculation of dilutive share options is shown below. Share-based payment is the accounting entry to find within the annual report. 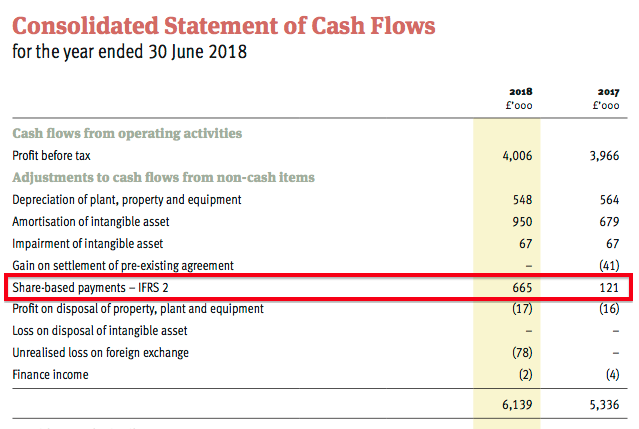 This amount reflects the accounting cost of the company’s options based on accounting standard IFRS 2, and is charged against earnings. In this example. the share-based payment charge reduced operating profit by £665,000 to £3,980,000. The share-based payment charge is calculated using complex mathematical formulae — Black Scholes and Monte Carlo. 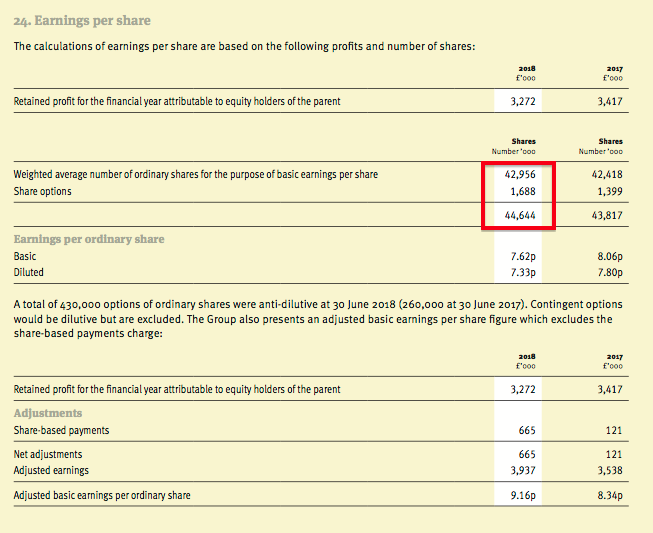 Dilutive share options represent 3.9% of the weighted average share count (1,688,000 / 42,956,000). Other companies ought to be evaluated to provide greater perspective. Safeland (SAF), a small property company, provides a case study of an excessive option scheme. 14,907,380 allotted, called up and fully paid shares (that is, the number of shares in issue). 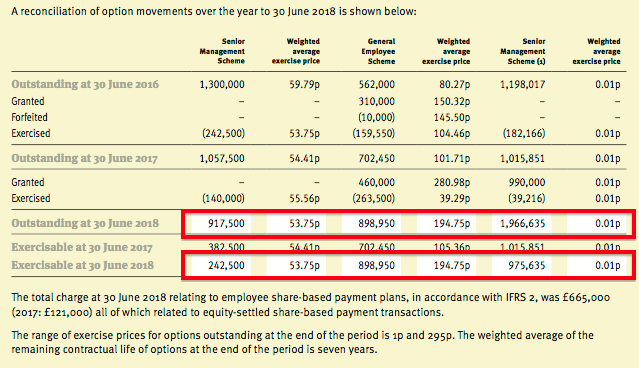 14,477,675 share options outstanding (a) and exercisable (b), with an exercise price of 9.25p (c). 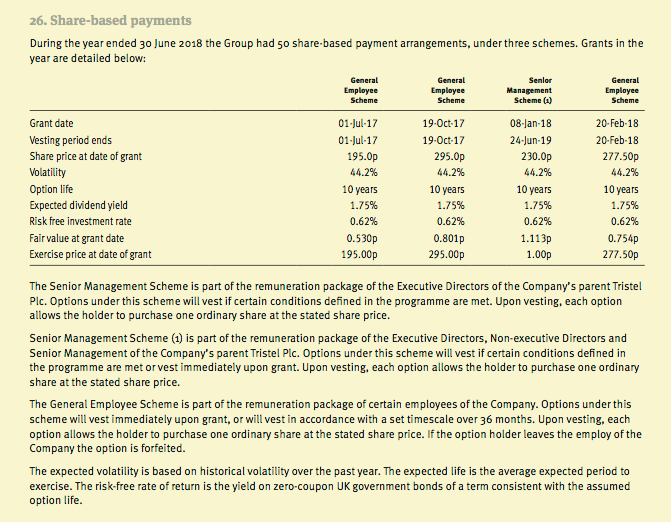 The vesting period is three years from the date of grant (that is, up to 28 September 2014) and the performance condition is the share price being at least 11.25p (d). The number of options granted represents an enormous 97% of the number of share in issue. If/when the options are exercised, the number of shares in issue will almost double. As at February 2019, the vesting period had passed, the share price was 40p and therefore all of the shares were exercisable. The performance criteria — the share price reaching 11.25p after standing at 9.25p at the time of the option grant — does not seem too demanding. 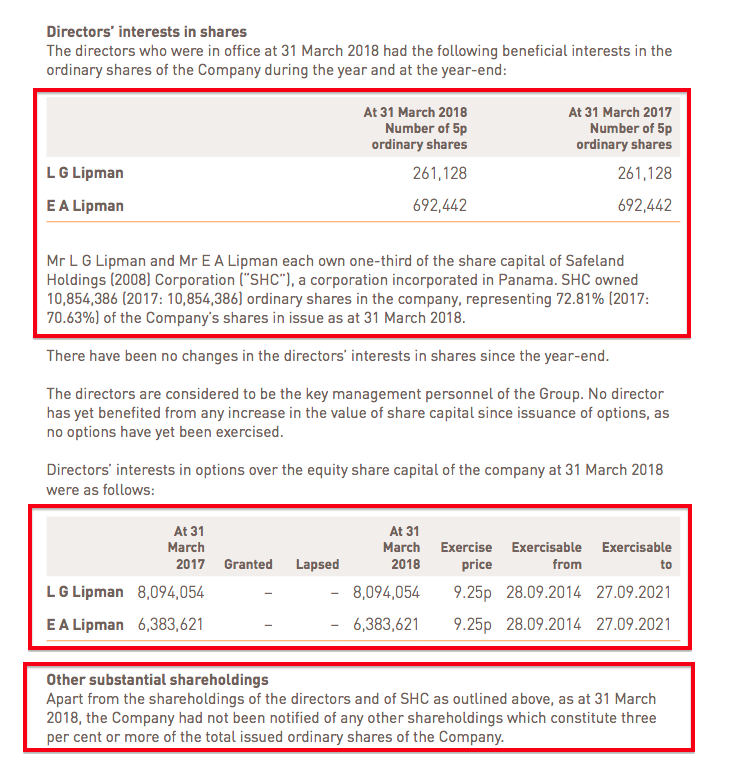 The directors, through their personal shareholdings and a Panama-registered corporation, control approximately 8.1 million shares (or 54% of the number of shares in issue). The directors own a total of 14,477,675 options — equal to the number of options outstanding. If/when the options are exercised, the directors will own approximately 22.6 million shares — or 77% of the enlarged 29.4 million share count (14,907,380 existing shares plus 14,477,675 options). The option grant would appear a straightforward way of taking greater control of the company. 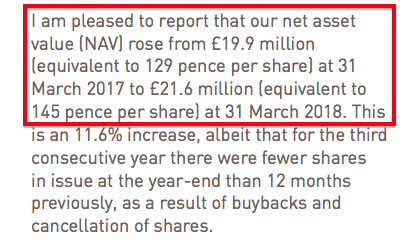 NAV of £21.6m divided by the enlarged 29.4 million share count would give NAV per share of 73p per share — versus the 145p per share declared. The 40p share price perhaps reflects the substantial dilution prospect and the greater control the directors may soon obtain. Safeland reported 12,148,658 dilutive share options. The 12,148,658 figure was calculated by multiplying the number of vested options (14,477,675) by their exercise price (9.25p) to arrive at £1,339,185. The £1,339,185 was then divided by the year-end share price (57.5p) to theoretically fund a share buyback purchase of 2,329,017 shares. The number of vested options (14,477,675) less the theoretical share buyback purchase (2,329,017) gives the number of dilutive share options (12,148,658). Somero (SOM), a manufacturer of concrete-levelling machinery, provides a case study of reported share-based payments understating the true cost of options. The accounts have recognised a $2,134,000 cumulative share-based payment charge since 2010. However, the company actually paid $12,783,000 to settle the vested options for cash. That way, the share count would not be diluted by the options. Total earnings between 2010 and 2017 came to $60,607,000. The difference between the share-based payment charge and the cash settlement — $10,649,000 — represented 17.5% of total earnings and reflected the real-life cost of those options. Arguably total earnings during the period were overstated by 17.5%. The 2011 AR outlines a clause that the options could not be exercisable if it took the holding of a director above 29.99%, as both brothers had holdings in the high 20’s it seemed to rule out them being able to be exercised. When their father died his options lapsed rather than being exercised by the estate reinforcing this interpretation imo.